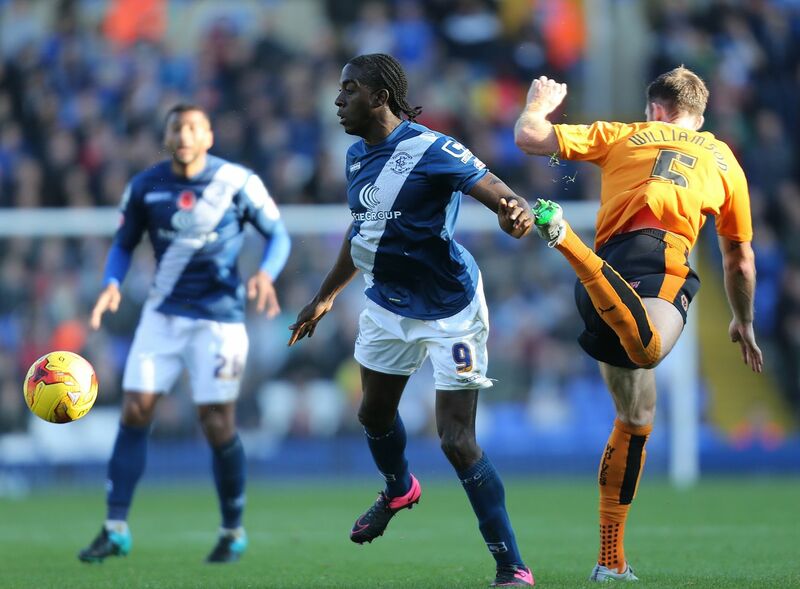 Birmingham City slumped to a 2-0 defeat against rivals Wolverhampton Wanderers on Saturday, though, if referee Peter Bankes had awarded what appeared to be a clear penalty after a foul on Clayton Donaldson in the first half – with the score at 1-0 – the result could have been different. Donaldson was on the receiving end of some overly-physical defending from Wolves’ centre-backs Mike Williamson and Danny Batth throughout, which often went ignored by the officials. Blues boss Gary Rowett was disappointed with the man in the middle and made his feelings known after the game. “After eight minutes Williamson had already fouled Clayton Donaldson two or three times and the referee just allowed it to keep happening. I didn’t think we were strong enough to deal with any of those situations today,” he said. Although eyebrows were rightly raised over a number Bankes’ decisions, there can be no doubt that Wolves deserved the victory on derby day, overcoming a toothless Blues performance with ease. For all of the home side’s toiling, Birmingham seriously lacked a cutting edge and, in truth, never looked like troubling the scoresheet. Indeed Blues enjoyed the lion’s share of possession during the opening exchanges but it was Wolves that carved the first dangerous opportunity and took the lead after 12 minutes. Conor Coady’s cross deflected high into the air off Jacques Maghoma and Paul Robinson took the gamble of advancing to meet the ball in order to head clear, but he misjudged the bounce and allowed Benik Afobe a shot at goal. Blues ‘keeper Tomasz Kuszczak saved, but could only divert his block into the path of Wolves midfielder Dave Edwards, who rolled the ball into the far corner. The visitors continued to test Blues’ resolve with direct and quick attacks which were troubling the home defence. Nathan Byrne went close with a curling effort that narrowly went wide, before Kuszczak was called into action once more, this time denying Edwards’ low drive from the edge of the box. Threatening attacking forays from Rowett’s side were a rarity during a match in which they were too reliant on often aimless crosses, but they should have been awarded a penalty following a delivery from Paul Caddis. Blues frontman Donaldson was the target, but he was pulled to the floor by Williamson and, instead of pointing to the spot, the referee waved play on. Donaldson got on the end of another Caddis delivery after half-time, though the 31-year-old, who recieved a Jamaica call up in the week, headed wide. 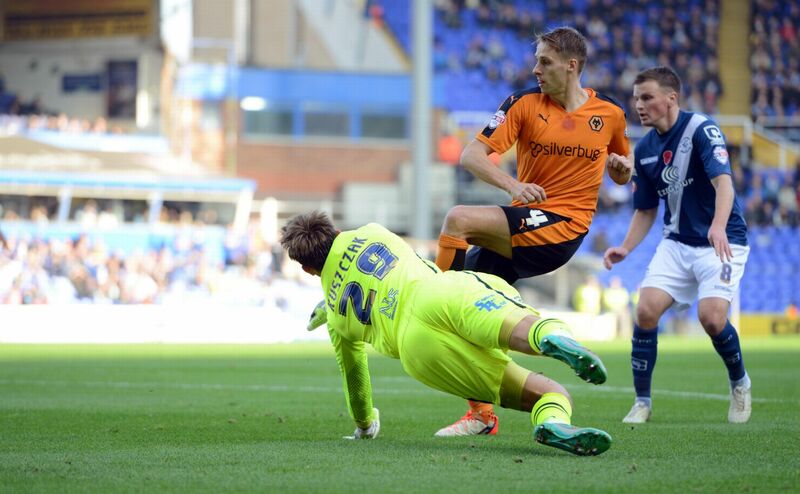 At the other end, Wolves almost doubled their lead but were superbly denied by Kuszczak. After an impressive run down the left-wing, Byrne cut the ball back to Kevin McDonald, who arrowed a shot towards the top corner which was athletically tipped-over by the Blues stopper. But Kuszczak could not keep Kenny Jackett’s side at bay six minutes from time, as substitute Sheyi Ojo rubber-stamped Wolves’ win. Birmingham’s defence failed to react from a short corner and allowed Ojo to cut inside, before he curled a low effort which evaded a packed box and nestled into the bottom corner. Blues, who have now been on the receiving end of consecutive 2-0 defeats, return to action on Tuesday against Blackburn Rovers. We move onto the next one now.